“Hamlet,” written almost 400 years ago, is a timeless piece of work by Shakespeare, performed thousands of times with hundreds of different Hamlets. 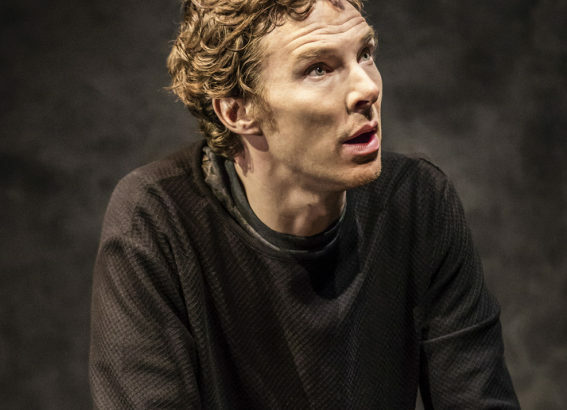 Benedict Cumberbatch plays the lead character in the National Theatre Live 2015 production of this play, and the Michigan Theater played two showings of this performance. I didn’t know I needed Benedict Cumberbatch to be Hamlet until I saw this production. Cumberbatch nailed Hamlet’s anguished soliloquies and acts of madness with great humor and delivered his lines with great position. When he pretends to be mad when confronted by Polonius and dresses up at a giant toy soldier, he humorously tiptoes across the line of sanity, something he seems to cross by the end of the play. Horatio, dressed in a simple flannel and a simple backpack, offered a simple alternative to Hamlet and the life in the palace, just as Rosencrantz and Guildenstern returned from his childhood as colorful characters. Polonius, the ever-verbose lord, rattled off his lines with such breathlessness that makes his pompous character memorable. Ophelia’s presence onstage seemed brief and disjointed, just as the constant presence of her camera and her love for photography was a detail seemingly overplayed with little significance. The stunning of the visuals of the blue-lit stage set the mood beautifully, providing a foreboding edge to this great tragedy. The bursts of intense sounds and quick scene changes adds to the disorienting sense from the scene. Though the play ran for 3 hours and 20 minutes, the performance honestly flew by. No one seemed bored or restless, completely captivated by this once-live performance that grandly executed one of Shakespeare’s greats.